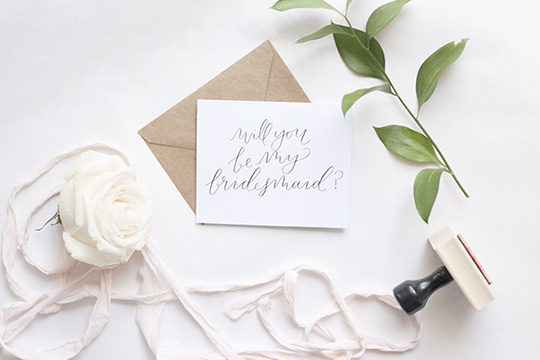 We're so excited to showcase our collaboration with the talented Kaitlin from Flourish & Quill Paper Co. She does everything from invitations, table numbers to name tags. 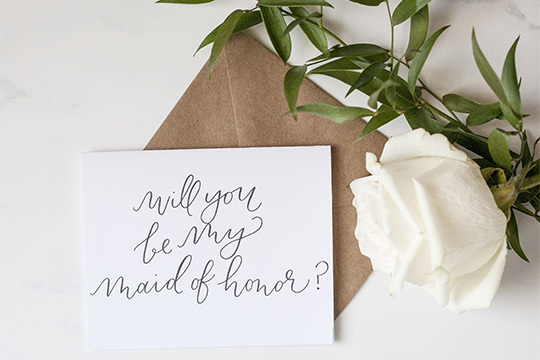 Her calligraphy is gorgeous and we're so excited to be offering free printables of "Will You Be My Maid-of-Honor" & "Will You Be My Bridesmaid" cards. 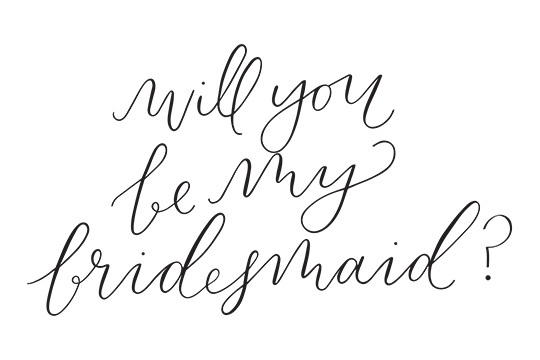 These cards would be a great way to ask your best friends to be part of your wedding party! 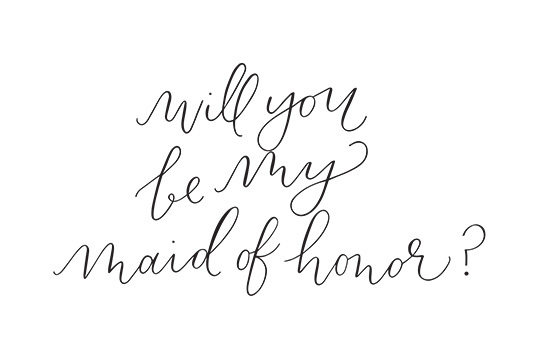 You can download these printable "Will You Be My..." cards by clicking on the image below.